A self-described Libertarian, Nigel Farage is a founder member of the UK Independence Party, which was established in September 1993. He is the Member of the European Parliament for the South East region and is the leader of the parliamentary party in the EU parliament. An interview with the most visible Eurosceptic voice in the European Union’s political establishment. Over the past decade, you have evolved from being the UK’s foremost eurosceptic voice in Europe to becoming the continent’s most visible anti-EU integration watchdog. What has led you to expand your political mission? Do you feel that your group’s vision is finally gaining political momentum? I must admit, as what the UK establishment likes to call a “small” party in the UK, we certainly didn’t set out with the intention to lead a coalition of nations or be a figure-head for millions of under represented Europeans across the continent. Although, probably I am over-stating our position, our mission was to extract the UK from the corrupt and undemocratic European Union as fast as possible. Of course, that remains our goal today – but we have seen a large base of support begin to grow from across the world to our cause. We have friends and members in Canada, Australia, the USA and all over Europe. It has not been by clever design on our part, but a natural evolution of using our position in the EU “parliament” effectively and speaking what we believe to be the truth with passion and conviction. Social media is one of our best avenues of getting the message of freedom and democracy out to the people. Of course mainstream media in the UK try to label us with all sorts of nasty things, edit us out of stories and generally act as though we have just been let out of the loony bin. Thankfully though, there is one form of communication the establishment can’t control. Online social media. We are reaching thousands and if not millions of people across the world with our popular speeches in parliament. YouTube, Facebook, Twitter; all these things are constantly alive and can’t be controlled – it is one of our best avenues of getting the message of freedom and democracy out to the people. Some of the members in our political group are faring very well and political opinion is changing against the establishment. You only have to look at Finland to see not a few months ago the Finns party came within a few percentage points of winning the general election – and what was their campaign based around? No to EU bailouts. Incredible really. The growth of opposition is rising and finally, the political elite in Europe are being challenged. Germany is another great example. Opinion polls showing there is a large section of people wanting a return of the Deutsch Mark and to stop bailing out other countries. Go back a few years and this was unthinkable. Indeed, your critics point to a long list of negative terms to attack your political stance in Europe (isolationist, protectionist, nationalist, extremist…). What is the European model of cooperation that you envision, and what is your response to those who depict your political agenda as one that is on the edges of the global era? The media and political class on subject after subject hold one consensual view. In the UK at least you, you couldn’t put a cigarette paper between them. (Though they want ban smoking too). According to them any opinion that diverges from the set narrative is extremist or loony. Far from having isolationist views, we want the UK to re-engage in the world! Because we are in the EU, we aren’t allowed to negotiate trade deals; we’ve had to cut ties with Commonwealth countries like India and Australia, we have to discriminate in favour of people from Europe. We are held back from being competitive in the world thanks to masses of EU regulation that we are hardly get any say over. The UK has given up its seat at the World Trade Organisation to the EU. The EU wants its own UN seat and at the moment, there are UK embassies all around the world being closed down, while EU embassies are popping up everywhere. Now if you ask me, none of that is helping the UK’s voice in the world. Of course we want to trade with Europe, of course we want to cooperate with our neighbours across the channel, but we can do all this without billions being wasted on Brussels bureaucracy. What I want to see is a Council of Europe type institution where governments can sit round a table, agree on things, and even set minimum standards on trade and labeling if necessary. That seems like the grown up modern thing to do. Not be forced into political union with a few unelected people with full legislative power, creating a one-size-fits-all economic policy – when we now know that can’t work. The Tory “eurosceptic” group is merely a charade. 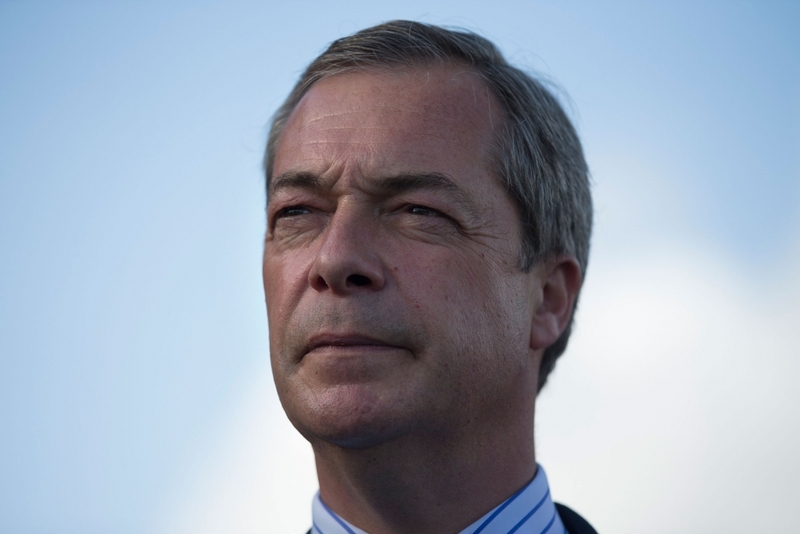 What is your assessment of the emergence of a “Tory Eurosceptic” group? Have you explored the possibility of joining forces with them? The Tory “eurosceptic” group is merely a charade. It is there to fool voters in the UK and elsewhere that political parties which are members of it, will stand up against a federal Europe, oppose further integration and stop expansion to the east. Nothing could be further from the truth. Every political group in that so called “parliament” (except UKIP, of course) supports the move for EU economic governance. As I questioned in my speech at the last Strasbourg session; “what does economic governance mean?” – It means a plane landing in Athens, with a member of the Commission, the European Central Bank and the International Monetary Fund, telling the Greek government what they can and can’t do. Democracy is now dead in Greece, because foreign, unelected bureaucrats pull the strings. It doesn’t matter who the Greeks vote for, the right or the left, the outcome will be the same because they are in the prison of the Euro. So getting back to your question, if I told you the Tory group supported this, are they really Eurosceptic? Another good issue is Turkey. I think it safe to say that the majority of people in Europe, and most certainly in the UK, do not want Turkey to join and have free, open border access to Europe. It is UK Tory policy to support accession of Turkey into the EU – is that really a eurosceptic stance? The British Tories pretend to be eurosceptic at election time in the UK, but then go out to Brussels and vote for every EU law in the parliament – safe in the knowledge that they have a nice well paid career ahead of them and the media won’t be too intrusive as to how they vote. A very nice deal. So why does Euroscepticism continues to stand as anathema at the helm of international policy-making? The benefits for civil servants and politicians being in the EU are big. Massive salaries, gold plated pensions, expenses paid trips to Europe, swanning about with other heads of state and a guaranteed job for life. Don’t you worry; the establishment will do everything in their power to keep the EU and Euro together. But this is how the EU works, it buys loyalty. Even now in Brussels, Croats are being hired to work in the institutions on salaries they could only dream about, even though Croatia isn’t in the EU yet. There is a massive EU funded media campaign in Croatia and I am fearful they will fix the accession referendum like did for the 2nd Lisbon vote in Ireland. Imagine you are from a poorer eastern European country – and you become an MEP or get a position as an official in the institutions on triple what you could make in your own country. Wouldn’t you suddenly become a supporter of the project? The EU spends billions on propaganda in the media and education to ensure its position. It believes that if it posts that ghastly blue flag everywhere, people will come to love it. Unfortunately (or fortunately if you are in my shoes) people are seeing the EU for what it really is and coming to resent it. You have said that bailouts “imprison” Greece and that the country should restructure its debt and exit the euro zone. Supposing that such an exit ultimately takes place, what would it take for Greece to reactivate its economy outside the Euro? The bailouts are doing nothing but throwing good money after bad – putting the debt ridden countries into even more in debt. Let’s face facts; we aren’t going to get their money back, so it would be better to simply write off a lot of their debt so every nation’s finances are sustainable. They should re-establish their currencies at realistic values that enable them to grow. By devaluing they are effectively making Greece a cheaper place to do business. This will attract businesses and investments as it will be cheaper to buy and import from Greece than anywhere else. Also it will give tourism a boost, as it will be cheaper for people to holiday and buy things there. The manufacturing sector will greatly improve as result of lower interest rates and devaluation, as it will be cheaper for foreigners to buy things from Greece. Therefore, money is to be made and jobs created selling and exporting goods across the world. Devaluation is the basic tool a country can use to save itself from disaster – but while countries are in the prison of the Euro, that tool has been taken away. There is nothing the elected government or a future elected government can really do. How can Spain have the same economic and monetary policies as Slovakia? Without the Euro, countries which are now in trouble would have been able to devalue. This is probably one of the most important tools a country has to help get itself back on its feet. By devaluing its currency, it is able to increase exports and boost tourism and foreign investment. This is because they would make things at a cheaper cost, so exports are cheaper (which draws in foreign buyers and boosts production) and it is cheaper to holiday there (boosts tourism). Interest rates would probably be set at strategic levels which can help boost domestic spending – unfortunately because of the Euro, it is up to the ECB to set the interest rate. Economies in the eurozone are so widely different that it just can’t work to have one interest rate. How can Spain have the same economic and monetary policies as say Slovakia? This is what we have been saying all along and now, unfortunately, the eurocrats are seeing the consequences of handing their economies away. What is your view on the latest talk of the issuing of eurobonds? The EU is using the crisis as a massive power grab to take us towards fiscal union. If they succeed, they should change the name. Get rid of ‘European Union’ and call it the ‘Debt Union’. And if this does happen it will trap those southern countries inside an economic prison for which the suffering of people will be untold, and the North will find itself paying forever a massive bill and interest rates that are far too high for their own economies. I first floated this idea of a debt union earlier in the year and now even Commission president Mr. Barosso addressed the European Parliament at the last session, and said the Commission will “soon present options” for the introduction of a common European debt union. Euro bonds would simply ‘monetize’ the debt. In other words shift the burden of debt to taxpayers in more efficient countries who have AAA ratings. Credit rating agencies only allow guarantees of AAA status from those states. What is supported by British Chancellor George Osborne and the EU political elite, is simply the creation of a debt union. All this leads to economic governance; which means more powers for Brussels and less democratic choice for voters at election time. If the common currency survives the current crisis, wouldn’t it make sense to push for a European Treasury and finish the job? It would make sense if you were trying to create an EU country. In fact, I’m very sure that is what the political elite in Europe want. Any semblance of democracy would be destroyed for the countries involved. There would be little point going to vote for your government, whether that is left wing, conservative or whatever – as they would have handed power over their budget and spending to the Commission. It wouldn’t be up to the people to decide whether spending should be increased, or what benefits should be cut or whether a country needed a competitive devaluation. If the EU did this, it would probably be the most power anyone has ever had over Europe, and that “treasury” would no doubt be unaccountable by the ballot box. A ‘United States of Europe’ will mean the end of democracy in Europe. Precisely, one EU country seems to be the silver bullet that many are now suggesting will save the European project. Former German chancellor Gerhard Schröder recently made it clear when he called for the creation of a “United States of Europe.” In your opinion, what will this European state mean to the peoples of Europe? A ‘United States of Europe’ will mean the end of democracy in Europe. It will put legislative and economic power in to the hands a few foreign bureaucrats in Brussels and any diversion or alternative opinion will not be tolerated. It would mean an end to national democracy and the ability for the people to choose which way they want their country to go economically or socially. Although to be fair I guess it would be one way to solve the problem, all be it the most dangerous option. The old ex-communists in the eastern bloc must think it’s the good old days all over again! The only other choice is for nations to be become independent and self governing once again. To be able to set economic policies to suite themselves, to have governments accountable by the ballot box and reinstate their own currencies. There have been many attempts to “unite” Europe and, as recent history shows, it has always been doomed to failure. When you try to force one identity, one flag, one currency, one legal system on to such a diverse amount of people – when you take away power from nation-states and give it to the hands of a few – it only ends one way. It is my fear that may happen in Greece. They are burning and drawing swastikas on EU flags because they know their democracy has been taken away. The policies of their EU masters could force Greece into a revolution. What stops wars is democracy. EU-integration advocates also present geopolitical arguments: essentially, the UK, France and Germany need to be glued into a sort of Siamese relationship in order to guarantee peace and stability across the continent. Wouldn’t the European Union’s disintegration you pursue bring to life long-buried security problems in the future? This whole argument that the EU has brought peace and stability in Europe is nonsense. You don’t see Norway or Switzerland arming to conquer Europe just because they aren’t in political union with their neighbours. What stops wars is democracy. Democracy doesn’t fight democracy. European nations are protected by a number of international and personally negotiated alliance treaties. The UN and NATO would be the first port of call for defence. The EU has no ability to defend anything. The EU must be the only “democracy” in the world in which the elected parliament can not create legislation. EU officials and leaders point at Greece, Ireland, Italy, Portugal, Spain, etc. as countries that have acted irresponsibly, and call upon them to make severe budget cuts and raise taxes. However, when the “Irish miracle” was taking place and Spain was building millions of houses, there were no warning flares coming from those same officials and leaders. What are the standards of political accountability within the EU establishment? There is no political accountability in the EU. The Commission is the only body in the EU that can initiate legislation and you can’t even vote for them. The way they create legislation is by having a number of working or “expert” committees which meet in secret, and which elected politicians (Including MEPs) have no access to. The EU “parliament” is a talking shop which rubber stamps everything the Commission wishes to do. Let me ask how often you hear about decisions taken by the EU? (OK I take the point of the bailouts being big news at the moment) Have you heard about the illiberal European Arrest Warrant? Or how about the navy off the coast of Africa operating with an EU flag? Or the accession of Turkey in to the EU? The mainstream media does it best to ignore what’s happening in the EU. Added to the fact we don’t have a common language, culture or economic situation; how can we debate the finer points of law or discuss EU legislation properly when there is no common language? There is no demos across the EU empire and there never will be. I wouldn’t be surprised if there was a kind of democratic revolution to sweep across Europe in the coming years. A recent poll in Spain shows that citizens consider the political class to be the third most important problem in the country; after unemployment and the effects of the current economic crisis, that is. Is this also the case in the UK? What do you think may remedy such an increasing disconnection between politicians and civil society? There is clearly a rising gap between the political class in Europe and the wishes of the people. Look at the polling statistics and events in European countries. There was a poll taken last year in which 52% of Germans wanted a return to the Deutsch Mark and there was massive opposition among the people for the German parliament to oppose more of their money to go to the Greek bailouts. Yet a large majority of politicians voted in favour. In the UK we see poll after poll stating that there is clear and growing majority of people that want a referendum on EU membership, but the political class keep denying us a vote. In Croatia the political elite are doing everything in their power to join the EU, but a Euro barometer poll showed over 60% of the people were against joining. In Greece we have people on the streets protesting about the economy, but there is nothing the government can do because as they are committed to staying in the Euro – they take their orders from Brussels now on economic decisions. When there is no political opposition to the establishment, when there is no opposing view in politics it leads to the erosion of democracy, with power moving up to a few individuals at the top (As we see in the EU structure). When that happens there is no way for the people’s voice to be heard. When you strip people of their democracy, when you strip them of their right to choose different governments at the ballot box then all they are left with is disobedience and civil disorder to be heard. As we can see in Greece, protesters are burning and drawing swastikas on EU flags. It’s a dangerous situation and I really do hope it can end peacefully, but if things get worse I wouldn’t be surprised if there was a kind of democratic revolution to sweep across Europe in the coming years. How to stop this? Power must be retaken from Brussels and put back in to the hands of nationally elected politicians and governments. Until that happens it is pointless even having a debate on whether we should have a free market or a more regulated economy. It is about the fundamentals of putting power back in to the hands of the people.